The pace of change is accelerating and as a result, our ability to devote time to planning for the future is diminishing. In an effort to “hold the ship together”, organizations are finding themselves addressing issues as they arise. As such, those in Leadership roles are spending their time working IN the company, leaving little time to work ON the company. While many have been able to piece things together thus far, organizations are now seeing the need to step back and look at how to structure their time in order to meet future demands. This is where the Board of Directors can help. The role of a governing Board of Directors is to create the necessary time and space to work ON the company so that organizations can be intentional about how they want to shape their future. Typically, Board meetings consist of listening to organizational updates that have occurred since the previous meeting, and making decisions on initiatives that will be implemented leading into the next meeting. But where is the balance between oversight/governance and strategy? How do Boards consistently help the CEO drive strategy? How is the time and opportunity to build relevancy and viability in the years ahead provided? And how can Boards change the way they operate in order to ensure this happens? One of the key reasons organizations have a Board of Directors, is the function they serve in task managing complexity over a long period of time. Organizations need this objective view from the Board as well as from individuals that understand the industry or sector landscape, the potential threats that exist, and the opportunities for ensuring the company remain viable and relevant. Step 1: Identify all discussions and decisions that occur throughout the year that would fall into the Oversight/Governance category. These are the topics that fulfill the fiduciary oversight of the Board. These topics include, but are not limited to: budget approval, auditors report, annual meeting, committee reports, and CEO report. Step 2: Identify the topics that require planning and advance discussion. This consists of strategy items such as: strategic planning, investment proposals, merger strategy, risk management, talent review, and educational opportunities for the Board regarding major trends. These are topics that look ahead to the future and support planning in the years to come. Step 3: Build an annual agenda for the Board with every meeting divided in to equal parts oversight (50%) and strategy and planning (50%). 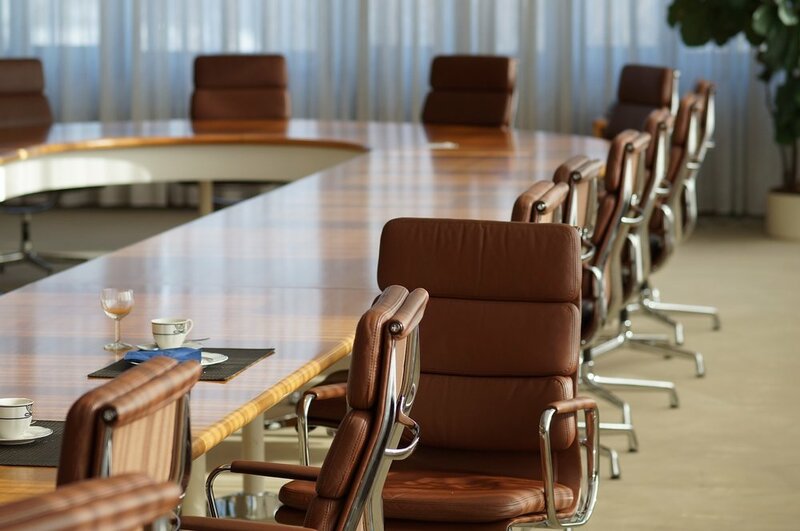 Presently, many Boards of Directors allocate their time around the oversight topics very well, but do not provide opportunity for strategy and planning discussion and decision making. Being able to anticipate when the Board will need to review an audit verses planning for future acquisitions, are both critical topics that need proper time allotment. Board meeting agendas, both annual and monthly, are the #1 tool for controlling time and opportunity. The agendas dictate the time to work on the “As-Is” and “To-Be” as well as the oversight and future planning. Without changing the way Boards operate, meetings will continue to focus on organizational updates and committee presentations. There is too much risk in this rapidly changing landscape to ignore the need to plan for the future. It is the responsibility of the Board Chair and the CEO to collaboratively shape the Board Agendas. The more the agendas can be structured annually to balance both oversight and strategy, the more engaged, informed, and productive a Board of Directors will be. Boards must support and encourage companies to look as far forward into the future as possible, and to ask the right questions questions to drive planning.